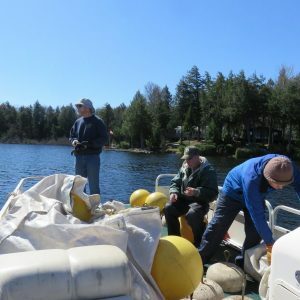 Every spring – usually just before the May 24 weekend – a committed group of CLPOA Volunteers collect the anchors and yellow balls from each of three winter storage locations around Chandos Lake. 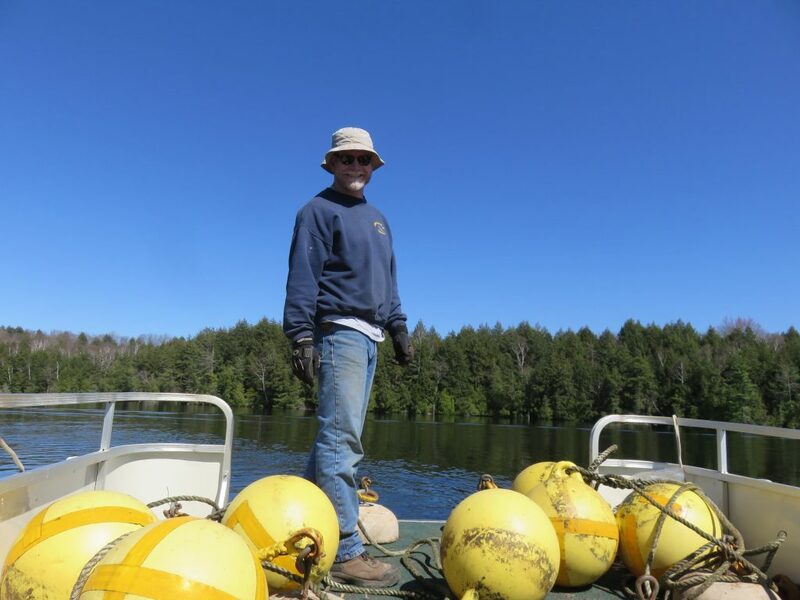 Each anchor weighs in excess of 30 kg (65 lbs) and the balls from each storage location take up most of the space on the CLPOA Pontoon boat. 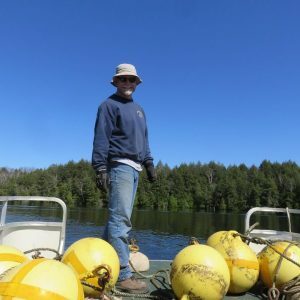 The marker lines are connected to the anchors with metal shackles and using a GPS to identify the location of the marker they are dropped off of the front of the boat at each of the over 110 locations. Each October – usually starting on the Monday of the Thanksgiving weekend – the process is reversed. 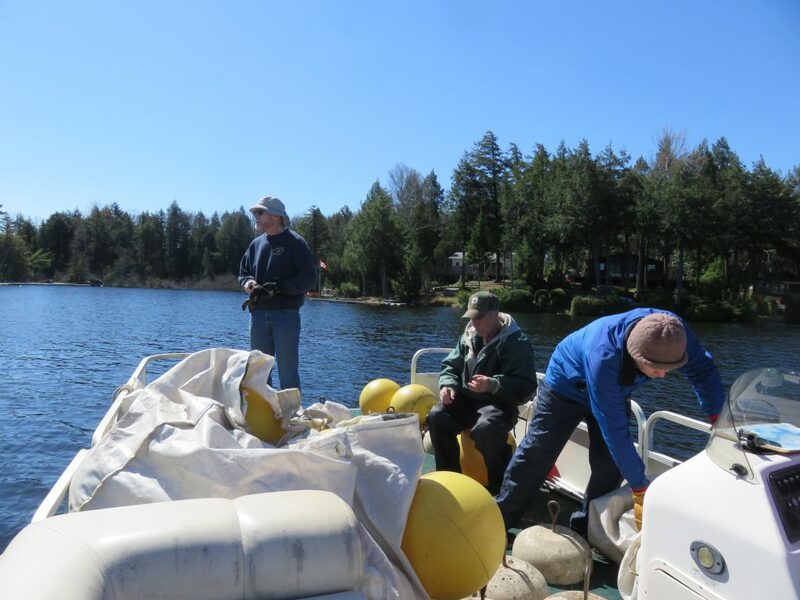 The volunteers manually secure the ball and then lift up the anchor into the boat one at a time. The anchors are disconnected from the rope attached to the ball and the balls and ropes are placed into storage bags. 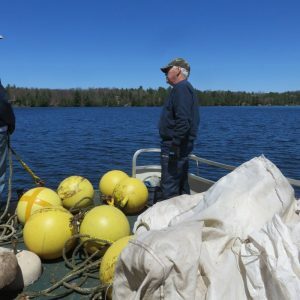 Once the boat is full of anchors and bags of balls, the boat is manually unloaded at each of three winter storage locations. 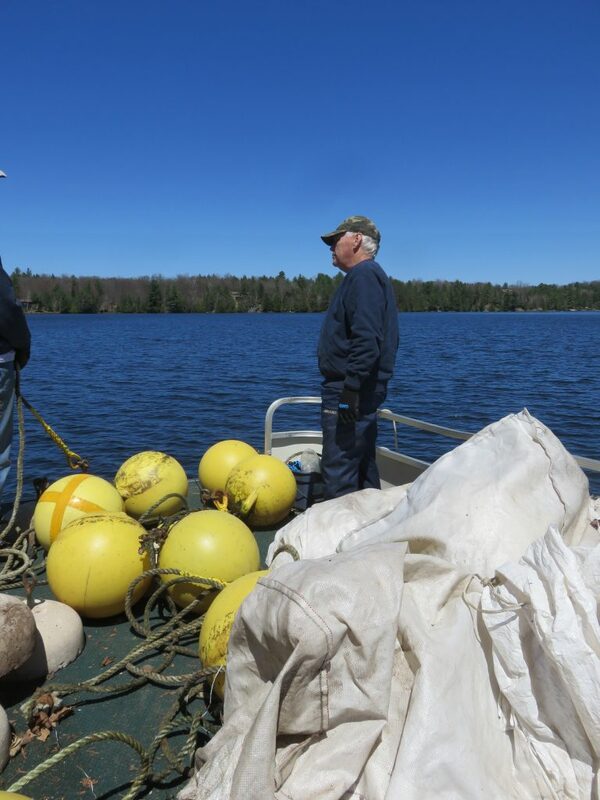 It is critical that boaters realize that the markers are NOT navigational buoys. Instead, the markers call attention to some lake hazards. All boaters should safely operate their water crafts, staying a minimum of 60 metres (200 feet) away from the markers and never go between any of the markers or between any of the markers and shore.